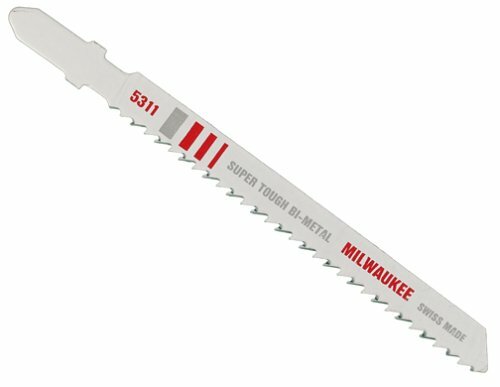 Milwaukee Bi-Metal Jig Saw blades are designed and manufactured for the professional user. Bi-metal blades last longer than high speed steel or carbon blades. Detail to the material used, tooth shape and sharpness make these blades cut clean, fast and have a longer life. 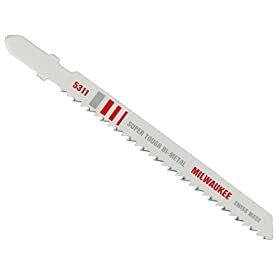 This blade has uses T-Shank and fits Milwaukee Jig Saws 6266-6, 6276-6, 6267-20, 6267-21 and other popular brands. Includes 5 individual blades.FEATURES: 10 TPI, 4 in. Length, Bi-Metal Construction. 9/32 in. Width, T-Shank. 5 blades per package. For fast clean cutting in wood. For fast clean cutting in wood.